I have never eaten so much in one sitting in my entire life. And the variety of food, the creativity, the comedy, and the pride universally displayed made for a fantastic event, one that all should experience at least once in a lifetime. 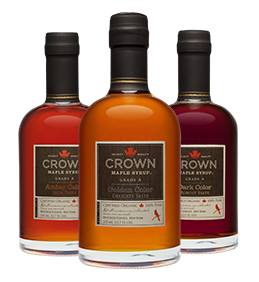 (This question is for Kerri Travis – General MGR, Crown Maple) We hear you had quite a time engraving the Crown Maple Muddy Chef Trophy last year. The engraver (a local Spirits shop) had a very difficult time with the size of the gallon as she was accustomed to engraving wine bottles and wine & champagne glasses. Thankfully the front of the gallon was successfully engraved. 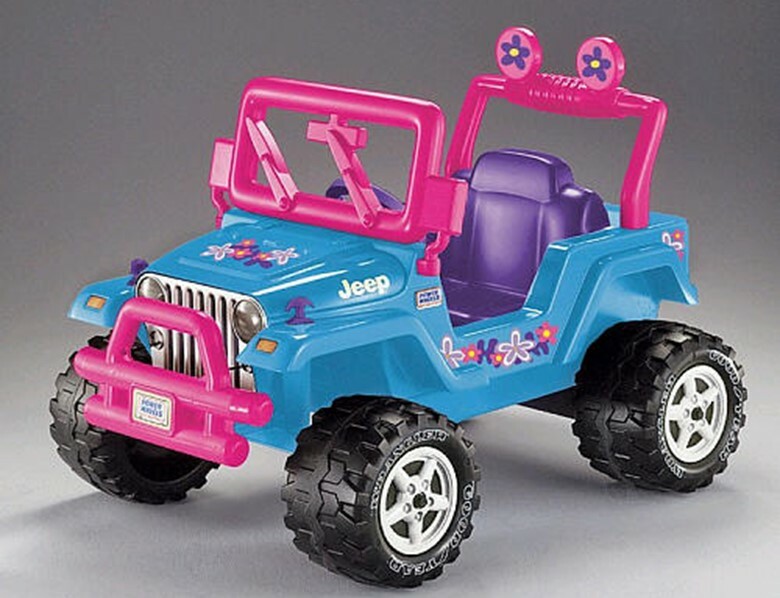 Rather than chance a mishap we have come up with another plan to add the 2014 winners ‘Two Guys and a Rover’ to the side of the gallon. (This question is for Tyge Rugenstein – COO, Crown Maple) You have a PhD, a Masters, an MS in Applied Mathematics, and a BS in Civil Engineering. How are you able to use those skills in a Maple Forest? My background is in engineering and mathematics. 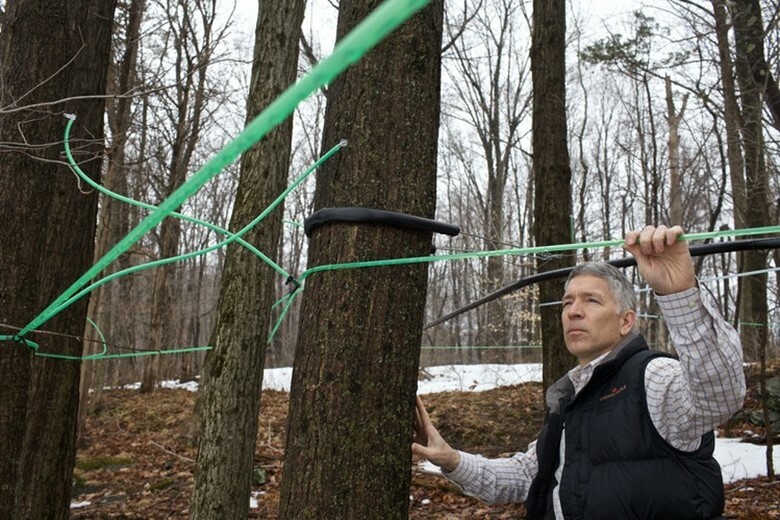 Establishing a productive and efficient sap collection network and processing facility requires good design and technical knowledge, so my previous experiences translate well even though very different from maple production. Just as important is my experience working with soldiers during my 29-year career in the U.S. Army. The similarities between soldiers and those on the Crown Maple woods crew are many. They don’t shy away from hard work, they frequently work in inclement weather, and they must work as a team. They are key to the organization’s success. Crown Maple is an amazing facility can you tell us more about it? Construction on the Crown Maple sugarhouse began in 2011 and was completed in 2012. The facility can store approximately 50,000 gallons of raw sap and can process over 180 gallons of syrup per hour during peak production days. 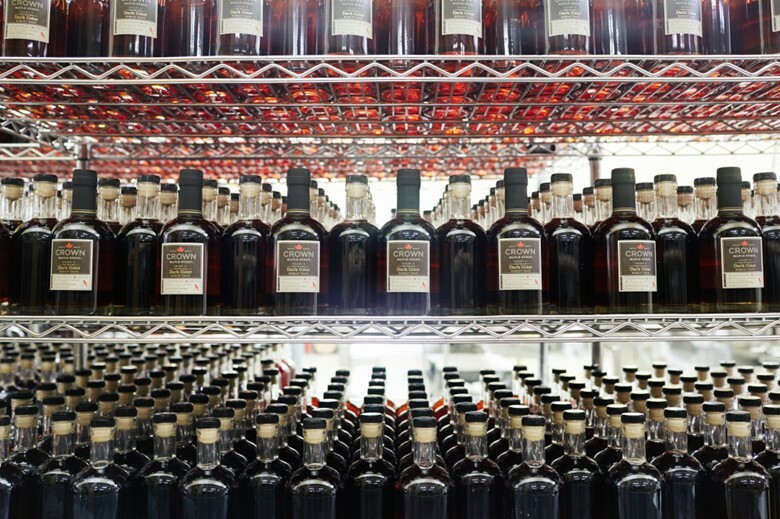 With 50,000 taps, the sugarhouse will make more than eighteen 55-gallon drums of maple syrup on a good day during sap season. 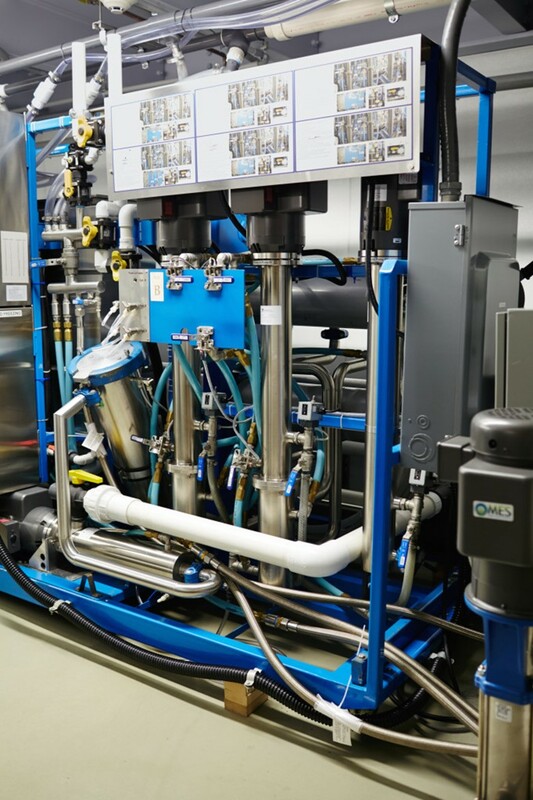 The reverse osmosis machine, which takes out over 80% of the water from the sap, will process nearly 9000 gallons of sap per hour. The building is capable of expansion with the capacity to accommodate 400,000 taps. In addition to the processing facility, the building is home to Crown Maple’s cafe, tasting room, retail space and corporate offices. What’s the difference between “fake” and real maple syrup? GOOD: Natural maple syrup is made by boiling the sap of maple trees in the early spring. It is commonly made from sugar maple, as well as red maple, and black maple trees. It takes 40 to 50 gallons of sap to produce one gallon of syrup. After the maple sap is collected, it is boiled to evaporate the water until a specific temperature is reached. The resulting syrup will be two-thirds sugar and one-third water. The primary sugar is sucrose with lesser amounts of fructose and glucose. Real maple syrup is healthier than fake syrup. It contains nutritionally significant amounts of manganese and zinc, minerals that can boost immune and reproductive health, as well as potassium, calcium, iron, magnesium, and riboflavin. 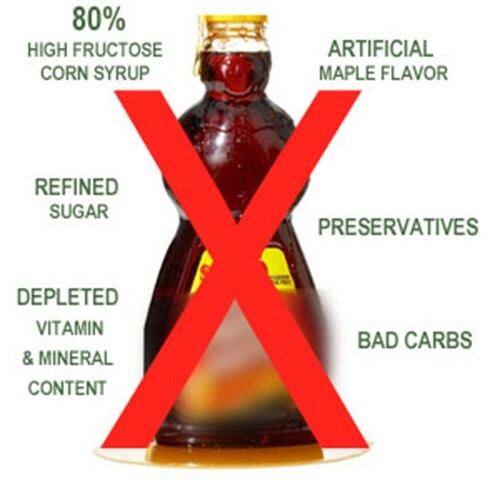 NOT SO GOOD: Imitation maple syrup, also known as fake syrup, is typically made from high fructose corn syrup with caramel food coloring, artificial flavors, cellulose gum, and food preservatives added. Imitation syrup is mainly composed of sugars with no vitamins or minerals. 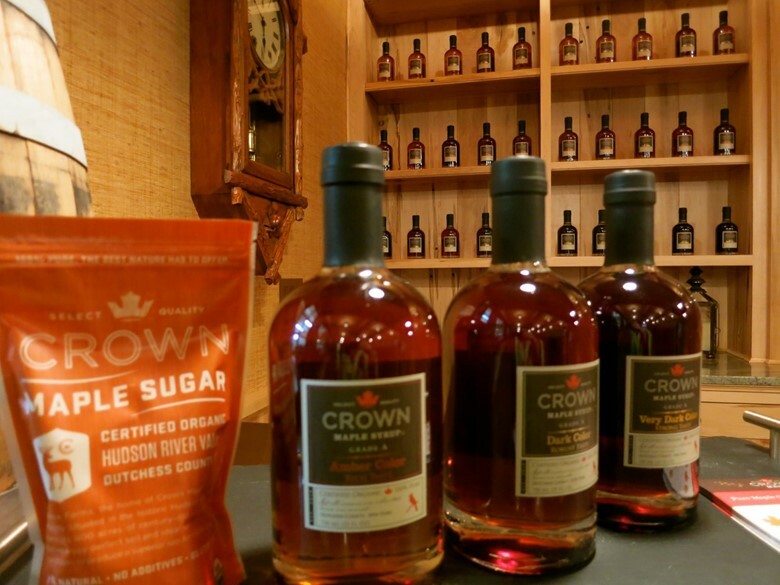 Be sure to visit the tasting room, cafe and gift shop when you visit Crown Maple during The Muddy Chef Challenge! It’s an amazing facility! 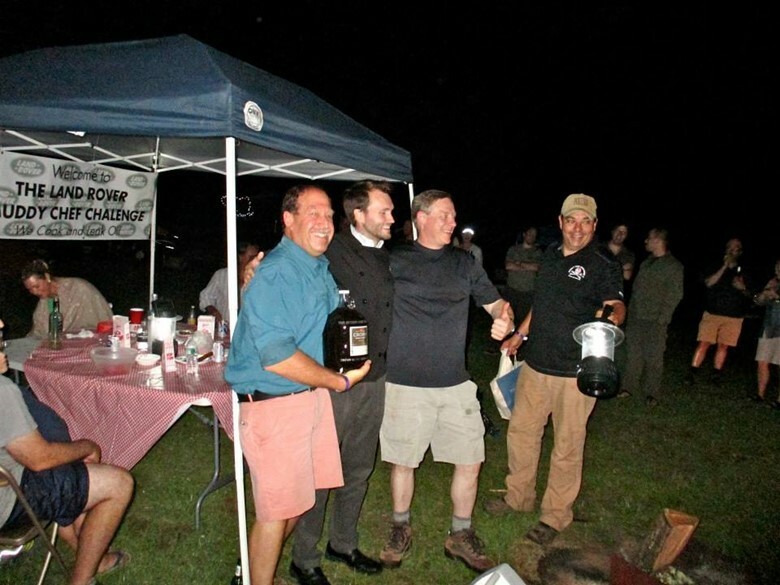 This entry was posted in MCC News, Media Gallery, Profiles and tagged crown maple, crown maple syrup, dutchess county, land rover, madava, madava estate, madava farm, maple syrup, muddy chef challenge. Bookmark the permalink. ← IRON MUDDY CHEF CHALLENGE – THREE SPOTS REMAINING!